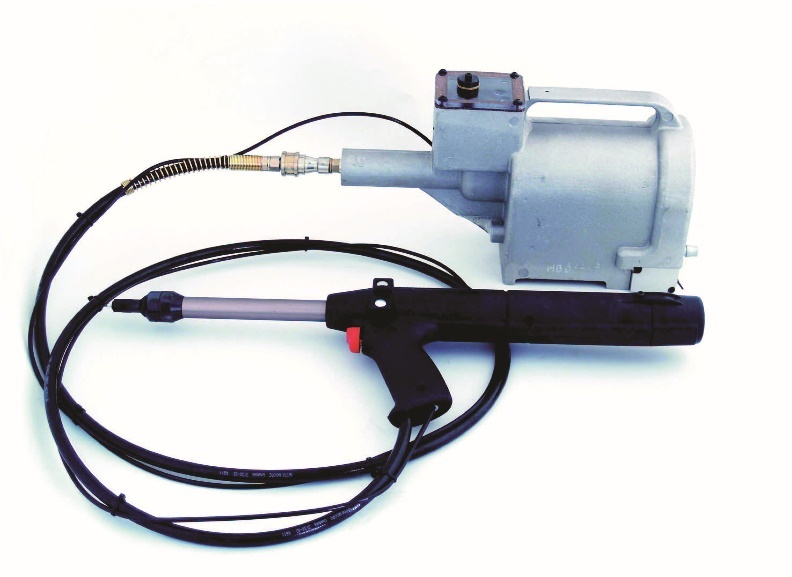 The Bralo RR-10 is an oleopneumatic tool that fastens BSR, BSV speed rivets. It is a lightweight, ergonomic tool, with an efficient setting system, designed to meet the needs of the most demanding of applications. It is ideally used in assembly lines and capable of setting all types of speed rivets from 3.2 to 4.8 mm. Lightweight tool with a reduced maintenance cost. Very fast; average cycle time less than 1 second. Riveting capacity from 3.2 to 4.8 mm. Durable and reduced maintenance cost. Lightweight, ergonomic and efficient tool. Note:The riveting tool is presented for a specific rivet diameter. Please order the machine with the diameter of the rivet to be used.